at Harvard University, Cambridge, Massachusetts, 1915–16. Family: Married 1) the actress Clare Jenness Eames, 1922 (divorced 1930); one daughter; 2) Leopoldine Blaine Damrosch, 1931; one daughter and one son. Career: Served in the American Ambulance Corps, and later in the Army Air Corps during World War I: Captain; 1919–22—member of the editorial staff, and literary editor, 1922, Life magazine; 1921—first play produced, Swords ; 1929—first film as writer, Bulldog Drummond ; 1938—founder, with S.N. Behrman and others, Playwrights Company. Awards: Pulitzer Prize for play They Knew What They Wanted , 1925; Academy Award for Gone with the Wind , 1939. Member: American Academy. Died: In a farm accident, in Tyringham, Massachusetts, 23 August 1939. Swords , New York, 1921. Casanova , New York, 1924. They Knew What They Wanted , New York, 1925. Lucky Sam McCarver , New York, 1926. Ned McCobb's Daughter , New York, 1926. The Silver Cord , New York, 1927. Olympia , New York, 1928. Half Gods , New York, 1930. The Late Christopher Bean , New York, 1933. Alien Corn , New York, 1933. Dodsworth , New York, 1934. Yellow Jack , New York, 1934. Paths of Glory , New York, 1935. The Ghost of Yankee Doodle , New York, 1938. One, Two, Three , New York, 1952. Madam, Will You Walk? , New York, 1955. Lute Song , Chicago, 1955. The Labor Spy (nonfiction), New York, 1921. With John Hearley, Professional Patriots (nonfiction), New York, 1927. Gone with the Wind (screenplay), edited by Richard Harwell, New York, 1980. "The Story Gets a Treatment," in We Make the Movies , edited by Nancy Naumburg, New York, 1937. White, Sydney H., Sidney Howard , Manchester, 1977. Theatre Arts (New York), February 1957. Sorelle, Cynthia M., in Twentieth-Century American Dramatists , edited by John MacNicholas, Detroit, Michigan, 1981. Yeck, Joanne, in American Screenwriters , edited by Robert E. Morsberger, Stephen O. Lesser, and Randall Clark, Detroit, Michigan, 1984. Finkle, D., "Tara! Tara! Tara!" in New York Times , 10 December 1989. 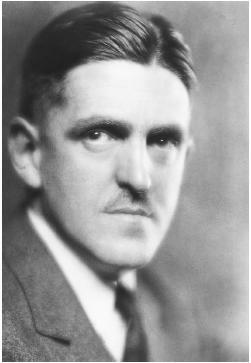 If Sidney Howard had written only the screenplay for Gone with the Wind , he would have earned his place in film history. But in addition to writing America's most popular movie, Howard's talents helped bring prestige and dignity to some of the best films of the 1930s. Born in California in 1891, Sidney Howard began writing at the age of nineteen when he was confined in a Swiss sanatorium for tuberculosis. He graduated from Berkeley, studied English literature at Harvard, served as an ambulance driver and flyer during the World War I, then went to work as a journalist, contributing to such magazines as Colliers , The New Republic , and Hearst's International . His war experience had made a realist of Howard. This realism, combined with a strong social conscience, was reflected in his articles and eventually in his plays. In the mid-1920s, he gained national prominence as a dramatist with a series of Broadway successes, including the Pulitzer Prize-winning They Knew What They Wanted . When the movies began to talk in 1927, Hollywood's producers combed New York for playwrights interested in writing for the screen. Lured by the promise of riches and the challenge of a new form, Howard was one of the first wave of notable New York writers to head west. He went to work for Samuel Goldwyn, Hollywood's most illustrious independent producer, who appreciated Howard's refined sensibilities. Howard recognized that early sound films had suffered from too much talk. He acknowledged the power of silence and respected the impact of visual movement. Unlike many screenwriters, who are married to their words, Howard believed that a screenwriter should provide the director with "rhythms and ideas." When Howard went to work for Goldwyn the producer's top star was Ronald Colman. Goldwyn was eager to maintain Colman's box office power and assigned Howard to the actor's first three talking pictures, Bulldog Drummond , Condemned , and Raffles . Colman's exquisite voice and Howard's sophisticated dialogue turned out to be a winning team, both at the box office and with the critics. Bulldog Drummond was so successful that Goldwyn produced a sequel, Bulldog Drummond Strikes Back , and Paramount eventually serialized it in the late 1930s featuring John Barrymore as the highly articulate adventurer. Raffles , the gentleman thief, proved durable as well; Goldwyn remade the film in 1940 with David Niven. Howard is credited along with fellow playwright John Van Druten. In these three distinctly different scripts, Howard proved his versatility. He could provide an abundance of witty, staccato dialogue when it was called for and could be equally economical when action was required. Howard's comedic adaptations of Louis Bromfield's One Heavenly Night , which blended light satire with musical numbers, and Zoë Akins's racy The Greeks Had a Word for It , retitled The Greeks Had a Word for Them , were less successful. Although his dialogue was aptly sophisticated, his strength lay in more realistic material. Of the Goldwyn films, Howard's adaptations of two Sinclair Lewis novels, Arrowsmith and Dodsworth , were his most notable works. Arrowsmith was hailed as one of the decade's first serious message pictures, named by the New York Times as one of the "Ten Best of 1931," and garnered four Academy Award nominations, including Best Picture and Best Screen Adaptation. Dodsworth , which he had successfully dramatized for the New York theater two years before, also remains highly regarded. It received eight Academy nominations; again, the screenwriter was honored. The following year Howard attempted a third Lewis property, It Can't Happen Here (1935). The political content, however, was unacceptable to Hollywood's censors; it went unproduced. Howard wrote only two scripts which were not produced by Goldwyn. In 1930, he adapted his own play They Knew What They Wanted for MGM. Called A Lady to Love , it was the second screen version of his play. The silent film, retitled Secret Hour , starred vamp Pola Negri and Jean Hersholt as the lovable Italian vintner. In 1940, RKO made a third attempt to recreate the impact of Howard's play, but was unable to retain its honest portrayal of adultery under the prevailing censorship. Howard's last screenplay, Gone with the Wind , was an outstanding achievement. His reduction of Margaret Mitchell's 1,037 page epic of the old South to a manageable screenplay was a herculean task. His initial submission, though still over long, was faithful to the spirit of the book despite its extensive condensation of material. When Howard refused to leave New England to continue rewrites, producer David O. Selznick replaced him with a series of writers including Ben Hecht, John Van Druten, F. Scott Fitzgerald, Oliver H.P. Garrett, and Charles MacArthur. Despite the multiplicity of contributors, the final script was remarkably close to Howard's 1936 draft, resulting in a single credit and a posthumously awarded Oscar for Best Screenplay. Howard had died tragically a few months before the awards at the age of forty-eight, crushed by a tractor on his farm in Tyringham, Massachusetts. In the published preface to his play Lucky Sam McCarver Howard wrote, "The novelist prefers writing to anything; the dramatist prefers acting to anything. The drama does not spring from a literary impulse but from a love of the brave, ephemeral, beautiful art of acting." Howard's respect for talking pictures combined with his sincere love of acting unquestionably advanced the art of filmmaking in the 1930s.